Lots of double and triple crossing going on in this episode. And where did Dr. Beckett come from? Last we saw him he was being sent back to Earth for testing and now he’s a regular again? when did that happen? Also a few story continuity problems in this episode. For one – all the balarans were round up by the Wraith in front of the gate – but we didn’t see them when Col Sheppard and crew came back to the gate fighting – where did the Balarans go? For two – where did the balaran that pointed out Beckett go? we never saw him killed! And lastly – though this is just a question – what about Todd and Michael? How do they play into the hothan plague at this point? All told this was another solid episode that kept our eyes peeled on the screen from beginning till the end. But it will cost me at least $750 !! That’s the current next bid up for the charity auction now underway — to have lunch with Jewel Staite on the set of Stargate Atlantis itself. The charity site lists the actual value of the ‘lunch date’ to be $1000. Includes: Lunch with Jewel Staite on the set of Stargate Atlantis. Valid for 2 people, for one year, based on availability. Best known for her role as Kaylee, the sweet, happy and sensual ship’s mechanic on the critically acclaimed sci-fi series Firefly, Jewel Staite is the newest addition to the Stargate universe. 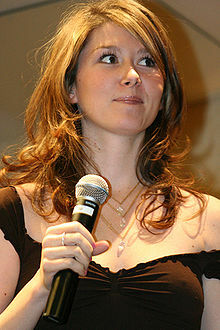 Already a veteran actress at 25, Staite began her career at the age of 9. Finding success early on, she earned both Gemini (Canadian Emmy) and Canadian Television Film and Showcase Award nominations for her work on the Disney Channel series Flash Forward with Ben Foster. Check out the bidding for yourself and if you got the creds…by all means BID (and send us pics when you win!!). Gotta love future timeline alternate realty stuff. 48,000 years into the future too..the end of T’eyla, Carter and Ronan ..(are we done here?) . The producers easily could have left us hanging just on Sheppard’s return to Atlantis..but they didn’t ..again another sign that this is a finely written show and one with alot of respect for fans. Sure having the team stuck in a booby traps building at the end is kinda lame..but you know they’re all coming back. We don’t know quite how Carter will exit the show (we do know that she loses command in Season 5). We don’t know if McKay will actually hook up with Dr. Keller (Jewel Staite)..but hopefully he will. We do know that Season 5 will be a showdown of wraith factions and the Atlantians…and should be a real battle royale. Farewell for now Stargate Atlantis..we’ll be waiting for your return! One more episode to go and then Season 4 is a goner. The last episode easily could have been the season finale with the discovery of a new Dr. Carson Beckett, but thankfully the producers have ALOT of respect for the fans and for that we should all be gratful.It’s also good that they did not disgrace the memory of Dr. Beckett. He did die. This new Beckett is a clone. He’s not evil or a replicator…just a clone. Yes it’s kinda lame that he has to go back into stasis…but we know he’ll be back every so often in times of need. 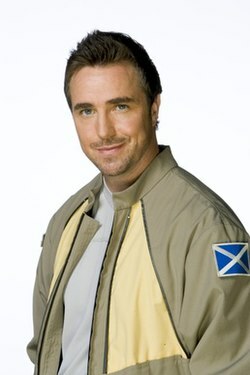 Regular readers of ShowMeSciFi.com know that we’re HUGE Stargate Atlantis fans. As it turns out there isn’t a whole lot of options yet for Stargate Atlantis Toys. Mostly its just a few figures at this point, so not Atlantis itself, puddle jumper, Wraith dart etc. Pricing on the figures can also vary wildly. We’ve done a quick eBay analysis for ya here to help you (and us) get the best pricing on Stargate Atlantis figures. So as you can see there really is a wide range of pricing here for what is essentially the same set of toys. To make your (and our) search easier we’ve also set up a simple link to keep you in the loop and the latest Stargate Atlantis toys. And we thought Midway was a great episode. Tayla gets abducted but the biggest surprise of all in the last scene. wow. what a totally unexpected surprise. How did Beckett get there? He’s dead!! We know Beckett helped to ‘create’ Michael so maybe Michael had some of his DNA and cloned him? Or maybe Beckett never really died and was actually beamed off Atlantis by Michael when the explosion happened with the body replaced by a clone? 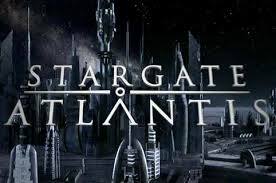 Whatever the case Stargate Atlantis Season 4 just keeps getting better and better..too bad we’ve only one episode left and then Season 4 is done! !